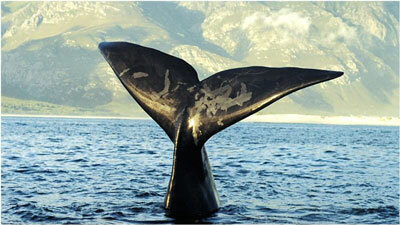 Perched on top of the cliffs at Hermanus, The Marine has one of the southern hemisphere's most spectacular seascapes. The Marine has 43 individually decorated bedrooms and suites, each with its own private facilities. Commanding views extend across Walker Bay or over the beautiful internal courtyard, finely manicured gardens and the Overberg Mountains. 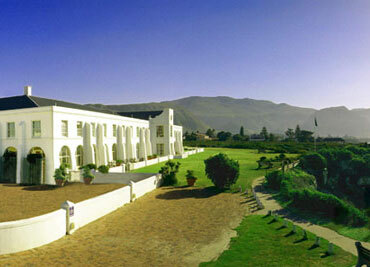 Stroll along the cliff hugging path and take in our breath taking views of the Hermanus Bay. The sparkling, heated courtyard pool might beckon, perfect for catching some African sun or sip a glass of local wine in The Sun Lounge with nothing between you and the South Pole, other than 3,000 miles of ocean. Hermanus offers some of the best land-based whale watching in the world and at The Marine you don't even have to get out of bed to experience these amazing creatures! Air-conditioned rooms and restaurants, car park, room service, security. Spa, Conferences, The Collection Boutique, Heated Swimming Pool, Tidal Pool, Internet Lounge. Eight magnificently and individually decorated suites all have varied views of the sea. The biggest of these suites features a large Georgian style bay window, and is on two levels, which includes a spacious seating area downstairs with picture windows overlooking Walker Bay. Two of these suites have balconies, whilst five occupy a split-level and two have a working fireplace. Six of these luxurious suites have wonderful sea views, the other being a spacious side sea view suite. Each suite has been traditionally, yet stylishly and individually decorated and has a large lounge. Two of the suites are set on a split-level, one has a balcony and one a four poster bed. Five of these rooms are sea facing whilst one opens onto a mountain facing balcony / patio which overlooks the pool and the other having a side sea view on the west wing. Three of the sea facing rooms have balconies and one is wheelchair friendly. All the rooms are magnificently and uniquely decorated in superb fabrics of floral and heavy silks. These standard twin and double-bedded rooms offer the same exceptional style in decor as is found in the decor of the suites and luxury double rooms. None of these rooms offer a sea view, although a number offer a partial sea view. Fourteen of the rooms include a balcony, these varying in size. All the single rooms have double beds and are stylishly decorated. One has a view of the courtyard, one has a separate shower and one only has a shower.